Will & Whit has been on my TBR pile for years. I was happy to finally add it to my classroom library, although the cover had me a bit worried it would be too romantic for my sixth graders. I needn't have worried; it depicts a scene that is sweet and sad. Will has been grieving for a year about the death of her parents, distracting herself with art projects and trying to stay out of the dark. She surrounds herself with artist friends, but when Hurricane Whitney knocks out the electricity, Will needs to face the dark and what it hides. While I preferred Laura Lee Gulledge's first book, Page by Paige, (which prompted one of my international students to hug it and say, "This book is me.") 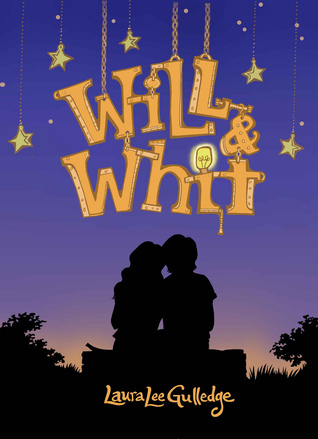 I enjoyed Will & Whit. There is a major focus on STEM at my school right now, so I am happy to put forth something that celebrates artistry in many different forms. Will makes sculptures and creates lamps, her friends are bakers and puppeteers and there is a local carnival put on by teenagers. I hope this inspires readers to share their creativity with others and that everyone's strengths are valuable.